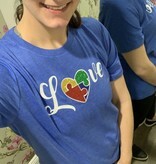 Celebrate Autism Awareness month with this great crew neck t-shirt! 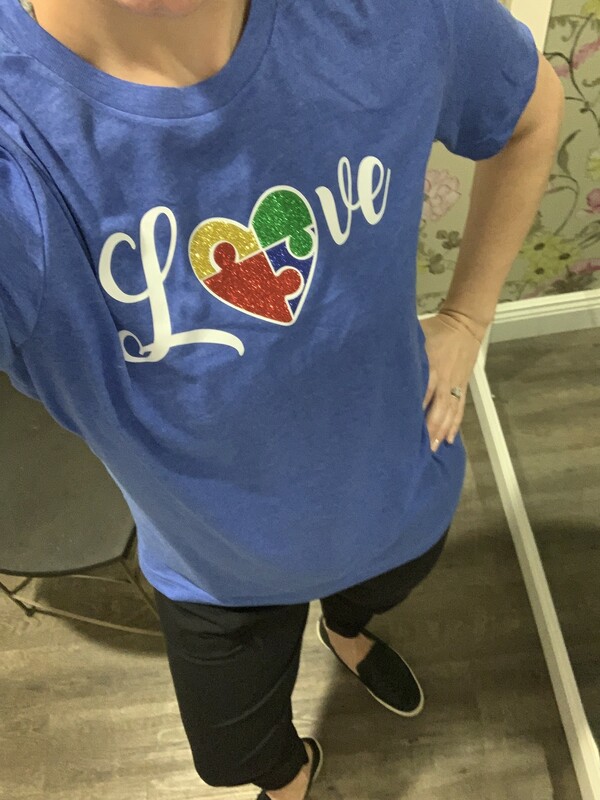 Available in sizes S-3X, it's the perfect way to spread the love for children with autism. 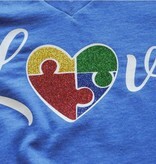 The heart features four glittered puzzle pieces, the symbol for autism. 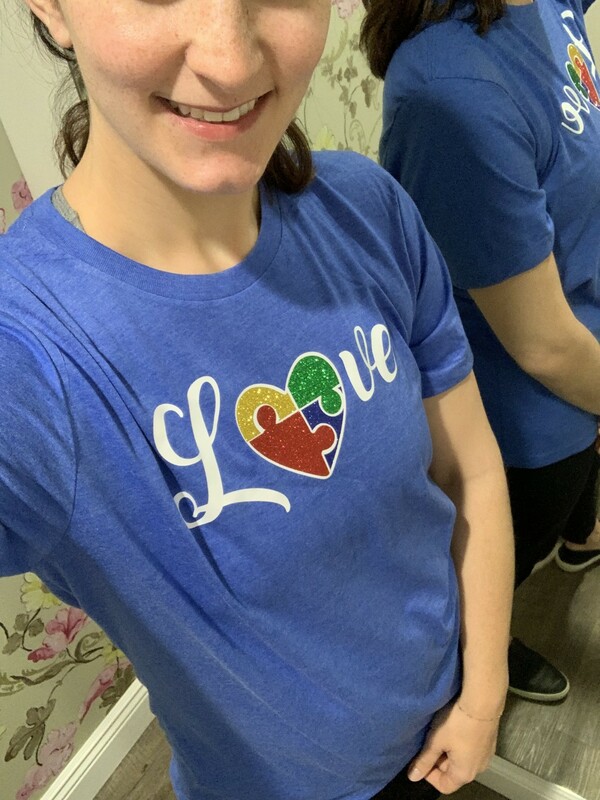 It fits true to size; in the photo, I am wearing my normal size large and it's the perfect fit for a soft tee like this one. Fabric is 52% cotton/48% poly; machine wash inside out to preserve glitter detailing and tumble dry low or hang dry. 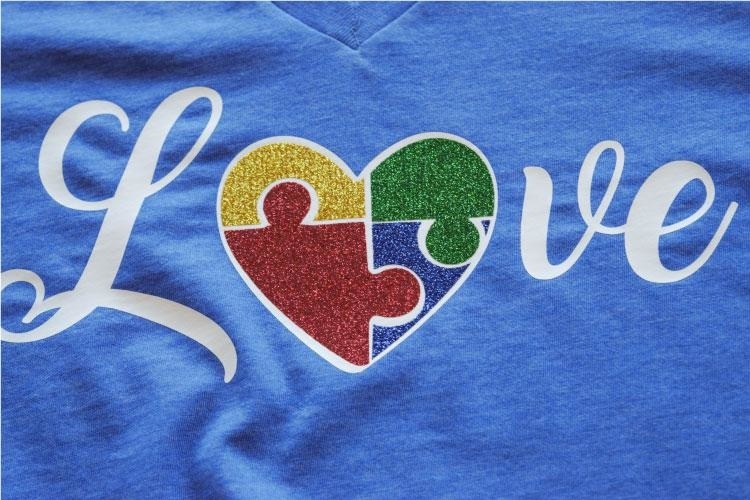 All net proceeds will be donated to Potential Development School for Children with Autism! 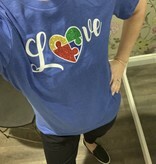 If your size is out of stock, please email info@ivoryandbirch to be on a reorder!